U.S. court has sentenced former Liberian warlord known as “Jungle Jabbah” to 30 years in prison for gaining U.S. asylum by lying and also ordering the cooking of the hearts of captives and those he killed. Mohammed Jabbateh, 51, who has lived in East Lansdowne, Pennsylvania, since the late 1990s, was found guilty in October on two counts of fraud in immigration documents and two counts of perjury. He lied about his role in the civil war in his homeland and atrocities he committed, prosecutors said on Friday. 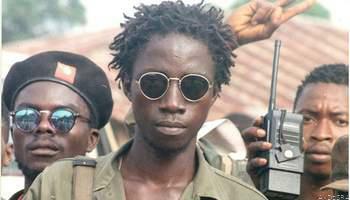 During the height of Liberia’s first civil war from 1992 to 1995, Jabbateh, while serving as commander of a warring group, either personally committed or ordered acts such as rapes, ritual cannibalism, mutilation, murder and the use of child soldiers, according to prosecutors. An attorney for Jabbateh, Greg Pagano of Philadelphia, did not immediately respond to a request for comment. According to testimony, in one instance, Jabbateh ordered that the heart of a captive be cooked and fed to his fighters. In another, fighters under his command murdered a villager, removed his heart and ordered the town chief’s wife to cook it. Jabbateh later had the town chief himself murdered and ordered his widow to cook her husband’s heart.